Rise of the Legend (Chinese: 黃飛鴻之英雄有夢) is an upcoming Hong Kong-Chinese kung-fu action film directed by Roy Chow and written by To Chi-long. The film stars Sammo Hung, Peng Yuyan, Wang Luodan, Jing Boran, Zhang Jin and Wong Cho-lam. It is slated for release on November 21, 2014 in China. Principal photography on the film began on August 20, 2013 in China. Edko Films, Irresistible Films, and Universal Pictures International are producing the film, while Edko Films will release the film in China and Universal will distribute the film Internationally. 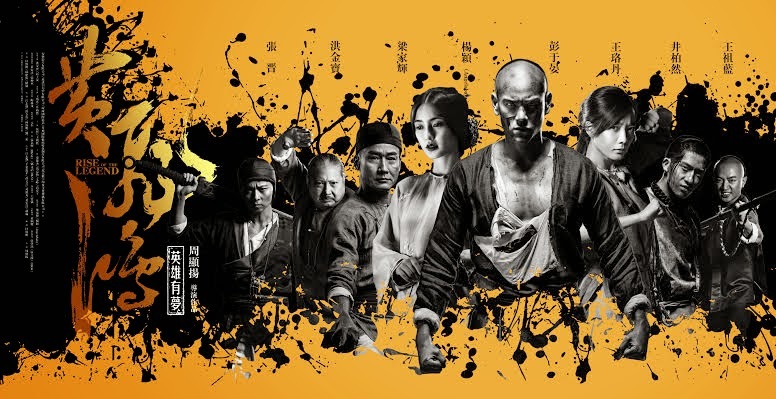 On August 19, 2013 it was announced that Edko Films, Irresistible Delta and BDI Films were teaming up for an upcoming action film based on life stories of the legendary martial arts master Wong Fei-hung. The producers would be William Kong, Liu Erdong and Ivy Ho, while director Roy Chow would be directing on the script by Christine To. On June 12, 2014 it was announced that Universal Pictures International acquired all international rights to the film, including North America and Edko Films will distribute the film in Asia. It was also announced that the film was in post-production, which Universal would be co-producing along with Edko Films and Irresistible Films. The shooting of the film began on August 20, 2013 in China. Looks interesting. And much darker than the previous Wong Fei Hong stories.